What do I do if I suspect I have hail damage? Instead of contacting your insurance company immediately regarding your hail damage, it’s best to double-check before you go through the whole claims process. Call a local contractor who will inspect your damage for free. It’s helpful to know your roof’s condition before it suffers damage from a hail storm. We recommend that you regularly evaluate your roof to more easily assess damage from a storm. Do an assessment as soon as possible after a hail storm to prevent further (and more costly) damages such as leaks and wind damage from occurring. A good tip is to check your aluminum, such as gutters, air conditioning units, roof vents, window and door assemblies, and other exterior finishes. 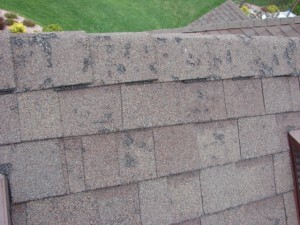 It is easy to recognize hail damage on aluminum, and if these elements exhibit the typical dings and dents described in the last blog post, definitely check your shingles. Use the guidelines provided in the last post about hail damage to different materials to determine whether you truly have hail damage. As soon as possible, take pictures and videos of the shingles, siding, and other exterior attachments that have visible hail damage. If possible, photograph the actual hail as well. Note the date and time of the storm because your insurance company will ask for this. Once I know I definitely have hail damage, what do I do from here? There are many unauthorized “roofing companies” and storm chasers out there. 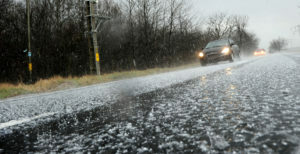 Don’t fall for their deceptive ways, and make sure you know how to deal with hail damage appropriately. Wait until after you get a damage inspection from a roofing contractor. Then you will know the range of repair costs and if it’s worth it to file a claim. Claims can stay on your record for years even if the insurance adjuster denies that you have sufficient hail damage on your home. This can affect your insurance rates. Storm chasers are the so-called “roof inspectors” who go door-to-door in your neighborhood, asking to get on your roof and inspect for damage. These people migrate to an area recently struck by severe weather, attempt to do as much business as possible, and then pack up and leave town as soon as they are done. Choosing a local business is much safer. Storm chasers often offer to meet the payout of the insurance company or offer another price that seems too good to be true, and that’s because it is. Storm chasers will attempt to overcharge you for lower-quality work and won’t be in town to resolve issues or follow through with warranties. Don’t ever go with a contractor who demands money up front. This has fraud written all over it. A reputable roofing business has the money and supplies to do the job in a quality that is worthy of your later payment once the job is done. Your contractor should never make you agree to letting them act as your representative to file an insurance claim. Your insurance company’s claim checks should always go to you, not your contractor. If you believe you have damage, call a local and reputable roofing contractor. Your contractor should be licensed by the state and credible. com and the Better Business Bureau are both helpful resources in choosing a trustworthy contractor. 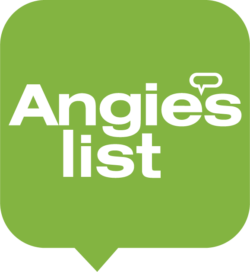 Your contractor should use factory-certified materials such as Owens Corning or CertainTeed. 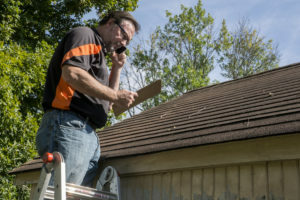 Your contractor will evaluate the extent of the damage, what it will take to repair it, and additional costs and factors to give you a fair assessment of the costs to repair or replace your roof and whether an insurance claim is justifiable. Make it clear that no repairs are to be made during the inspection, and schedule the inspection for a time you can be at home if it makes you more comfortable. First, you’ll need to find your homeowner’s insurance policy number and deductible. Then gather your documentation of the damage, which you collected previously. Call your homeowner’s insurance claim number and follow their instructions from there. After receiving a claim number, make an appointment with your insurance adjuster. 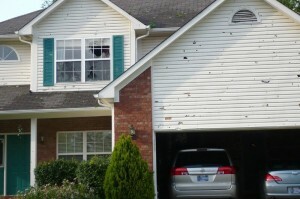 It is often a good idea to offer to share your documentation of the damage with your adjuster. 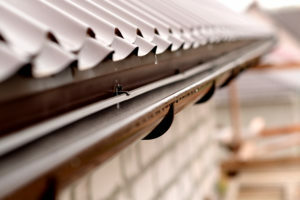 If possible, ask your roofing contractor to meet with your insurance adjuster to compare their findings of the damage. 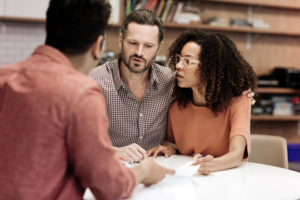 The adjuster will share findings with the claim examiner, who will review all of the information together and relay the final decision and price to you. You will then use the claim check to pay your contractor to either repair or replace your roof. Milwaukee and surrounding areas (Waukesha, Oconomowoc, North Prairie and Mukwonago) have been hit with some hail storms the last few years resulting in significant amounts of roofing hail damage. While the damage may be hard to see from the ground, it’s imperative to have a roofing contractor come out to ensure that your roof is in good shape. It’s better to be proactive when dealing with roofing repairs because damaged shingles decrease the roof’s life longevity. One thing to keep in mind is that we are not storm chasing roofing contractors. We’re a local Milwaukee Roofing company that’s been in the roofing business in Milwaukee (and surrounding areas) for over 18 years, and we will be here for another 18 should you have any questions down the road. While hail damage on your roof can be hard to see, siding hail damage is quite easy to notice. If the siding of your house has been affected by hail damage, it’s time to get it repaired or replaced before it leads to long term damage. If it’s left unattended water will later seep into your home and cause mold and lead to expensive repairs down the road. 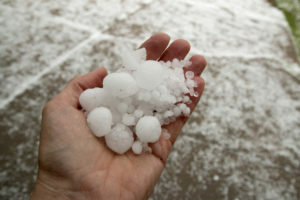 The sooner you can get your siding replaced after hail damage the better. Call today for a FREE SIDING ESTIMATE. Big Fish Contracting is a Milwaukee Hail Repair Contractor with 18 years experience helping homeowners with their roof hail damage. During our 18 years in business we’ve worked with almost all insurance companies and have the knowledge to assist you in processing your roofing insurance claim.